This beautiful new white cotton blend baby bonnet is made by Will'beth, a leading designer of beautifully detailed baby clothing. It features a wide smocked band detailed with white embroidery and tiny white rosebuds. The face ruffle is finished with scalloped embroidery. The bonnet ties under the chin with long white satin ribbons. 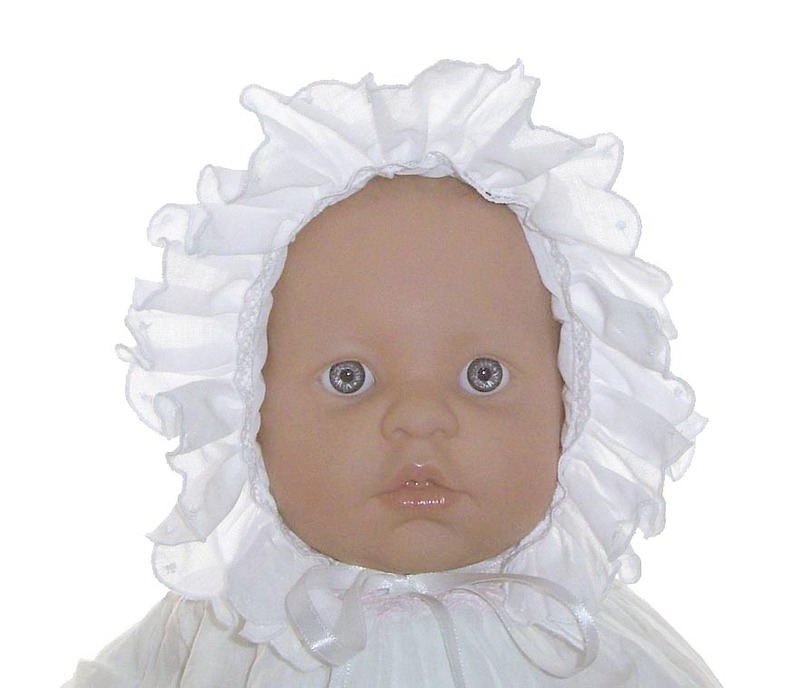 Note: This darling bonnet is also available with pink, green, blue, or lavender embroidery. 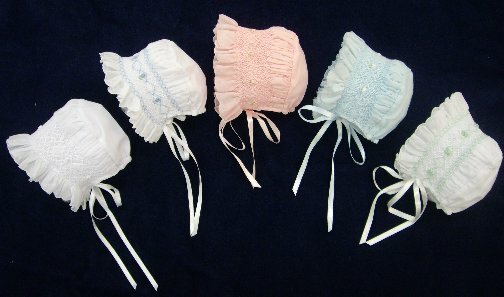 A similar bonnet is available in all pink or red. See below.